Pack your footed pajamas and head out to the center of Jukkasjärvi, a small village in Sweden, where a glistening structure stands apart from its surroundings. It reappears every year, and yet, it is forever changing. Artists from around the world move there to contribute to the magical creation. 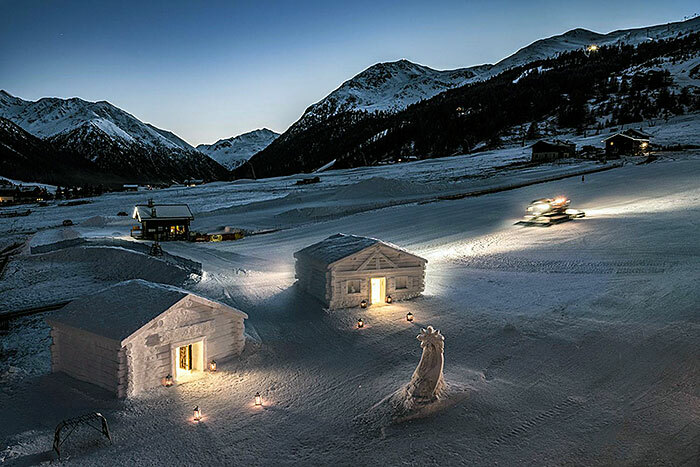 Made completely out of ice, the construction of ICEHOTEL is a yearlong process, requiring constant planning and, of course, harvesting of ice. It is a glistening hub of creativity, with each suite having a unique theme that truly makes the experience individualized. 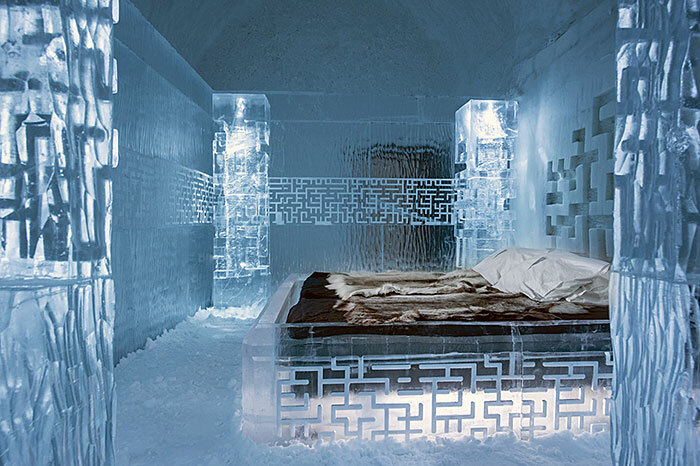 ICEHOTEL is the first and the largest of hotels made entirely out of ice. It requires over 30,000 tons of ice to form its perfect walls. The extraordinary project has been ongoing for over 25 years. 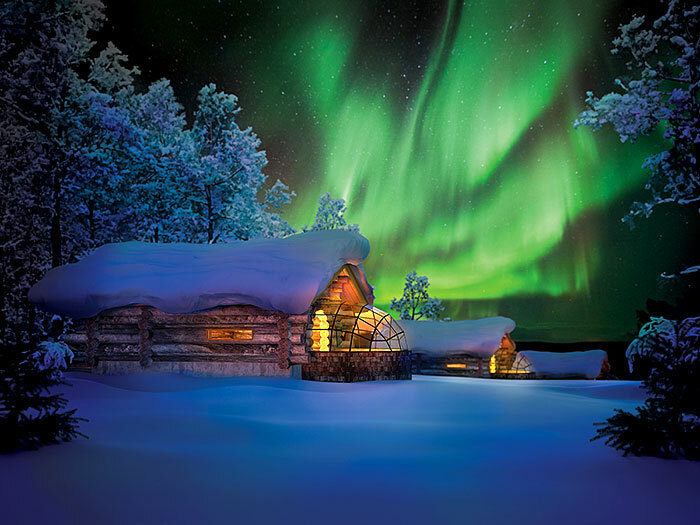 The thousands of guests who have had the opportunity to sleep within this icy palace have experienced extreme ice driving, learning about winter survival, spending time with the Sámi people, horseback riding, dog sledding, practicing ice sculpting, and witnessing the miracle of the Northern Lights. 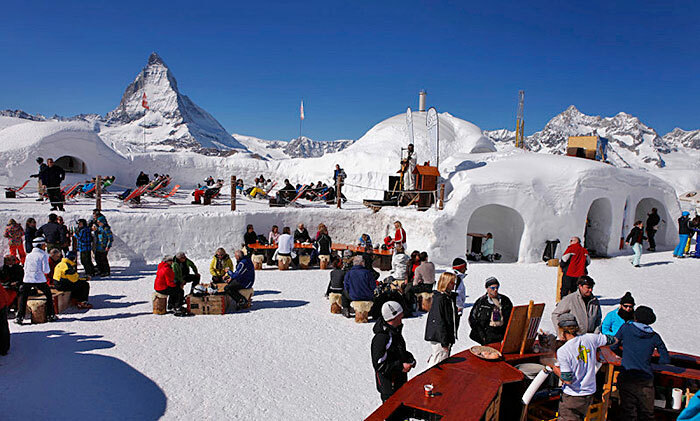 Guests get a chance to fine dine at the hotel’s ice restaurant or stop by for drinks at the Icebar, where you can ensure your beer will not get warm. 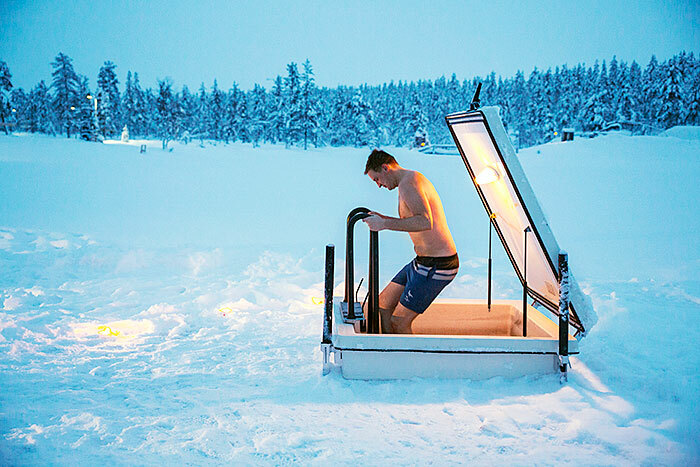 If you’re not one for sleeping in -5 degrees temperatures, but you want to experience the beauty of ICEHOTEL, warm accommodations are available in the form of standard hotel rooms or wilderness camps. The owners of ICEHOTEL recently decided to literally shoot for the stars. 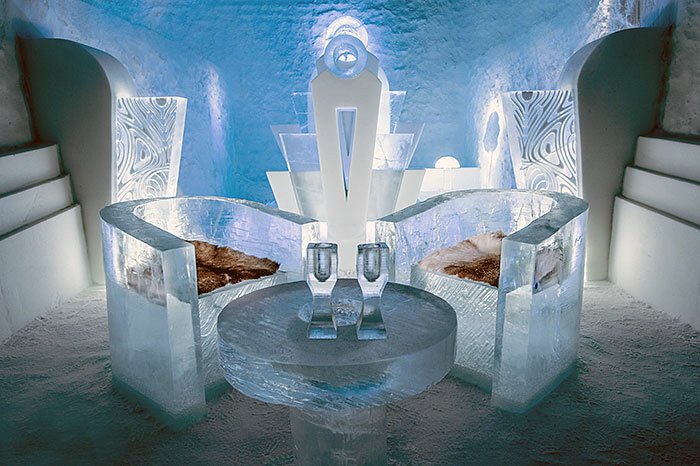 ICEHOTEL has been accepted as one of Virgin Galactic’s accredited space agents and can now offer guests reservations in the first-ever private spaceline. This futuristic opportunity is a once in a lifetime chance to completely chill as you float by the moon. 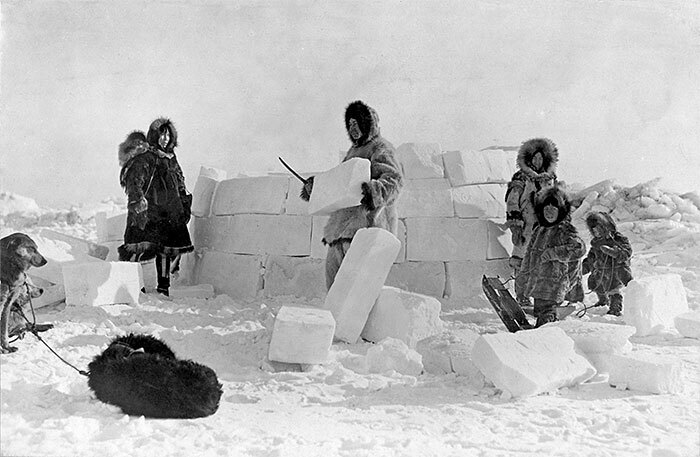 Igloos have always captured the imagination of both the young and the old. Nearly everyone has personally attempted to build one on a snow day, and we’ve all seen them on TV. But how often do we encounter genuine igloos in daily life? 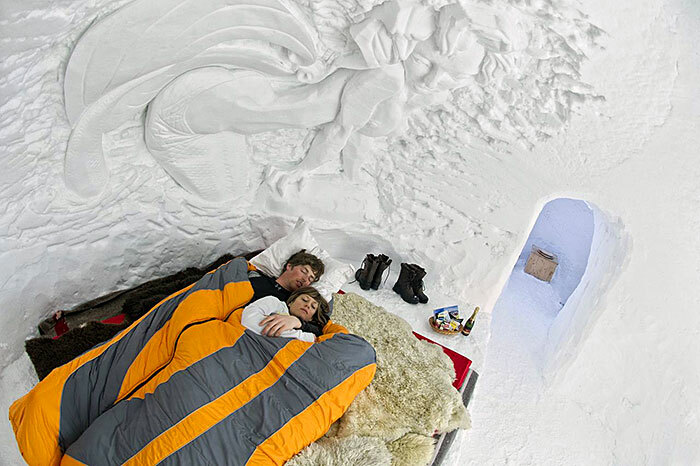 At Iglu Dorf, you not only get to see real igloos, but you get the experience of actually sleeping in one. Every season, over 3000 tons of snow is hauled into Iglu Dorf’s six locations across the French Alps and Pyrenees. 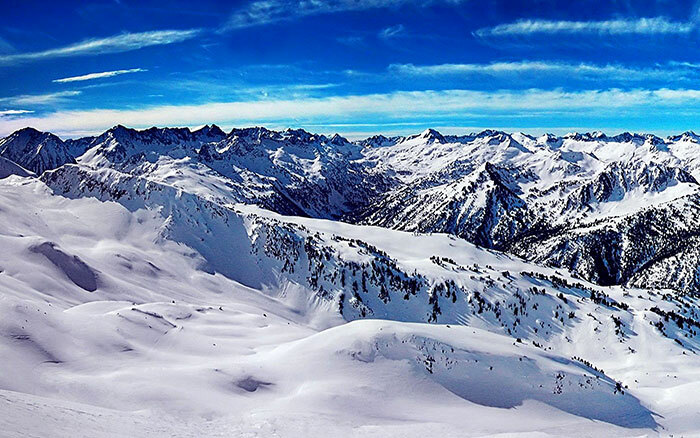 The Engelberg location in Switzerland sits conveniently at the heart of the Titlis ski resort. Inside each igloo are lambskin lined walls and expedition sleeping bags, ensuring warmth for guests lounging in the snow. 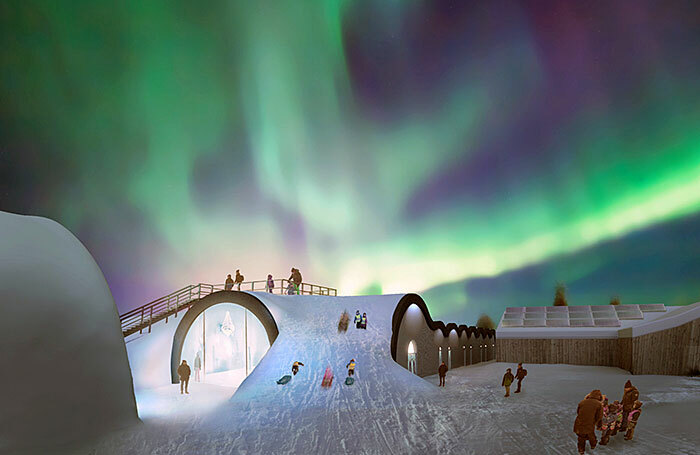 Each artist designed igloo also comes with a pair of snowshoes, giving guests the chance to get out and explore the beauty of the sparkling white mountains. 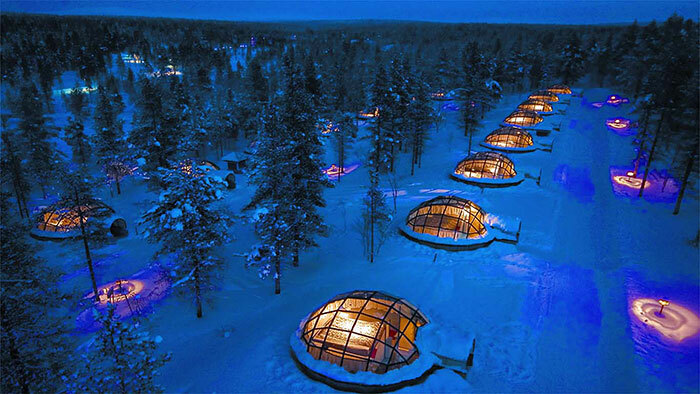 Iglu Dorf also has “hot igloos” which are basically igloo-shaped tents for those who prefer the extra warmth. No matter which igloo you choose, you’ll have access to the mountain area and everything it has to offer. A list fun outdoor activities include bungee jumping, skiing classes, zip-lining, snowmobiling, and the Winter Magic Rope Park. Iglu Dorf provides all the tools you need for an incredible day. When you’re ready for some warm relaxation at the end of the day, try the hotel’s homemade wine and cheese fondue. It’s a delicacy you don’t want to miss. 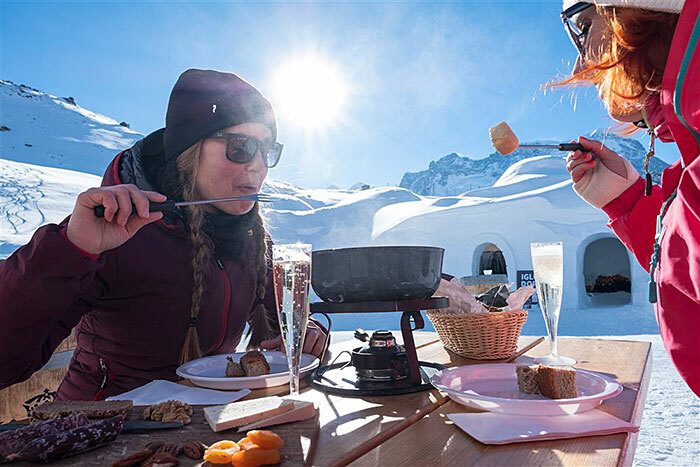 Iglu Dorf will successfully bring your Swiss snow day goals to life. Children all over the world grow up dreaming of Santa Claus. Some picture him with reindeer, others imagine him by the fire with the Missus, but few kids ever imagine they’ll get the chance to spend the night in Santa’s house. 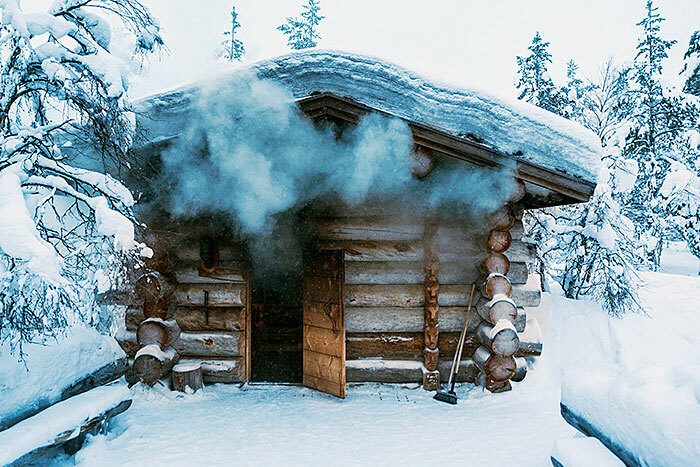 At Kakslautten Arctic Resort, guests can be hosted by the big man himself. 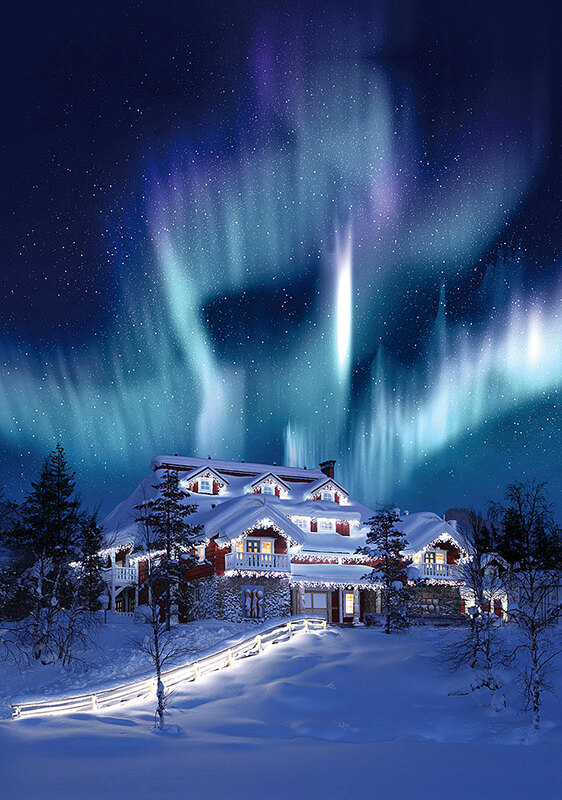 Santa’s lit up “Celebration House”, is the most important location in all of the North Pole. It’s where the magic happens. For guests who would rather not stay with Santa, Kakslautten offers a bunch of other sleeping options. 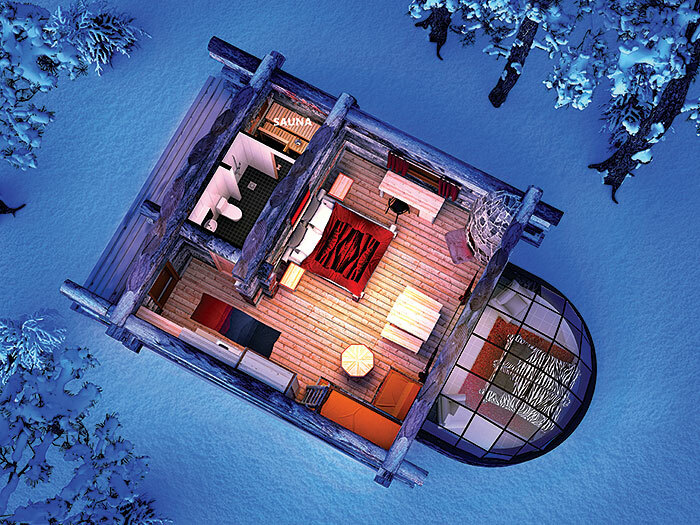 The warm, glass-top igloos offer guests a full view of the night sky and the legendary Northern Lights. The snow igloos are freshly built each winter season. 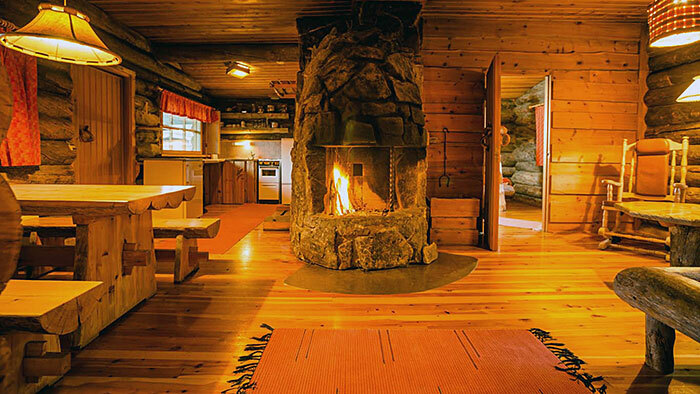 If you are looking for something bigger, pine log cabins that can fit up to 10 people, are also available. Right in the middle of Lapland’s nature and culture, Kakslautten is an enchanting experience no matter what time of year it is. 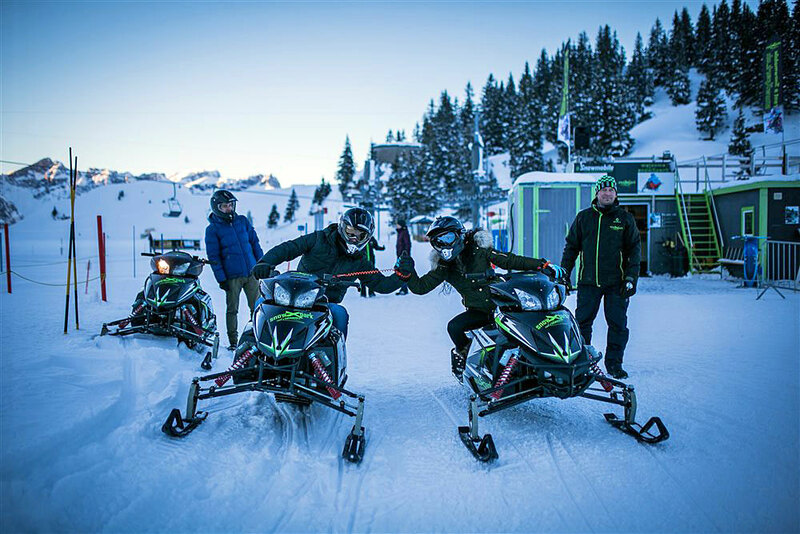 The winter is perfect for epic snowmobiling, one-of-a-kind husky or reindeer safaris, ice fishing, skiing, Ice Breaker boat cruises, and aurora light hunting. 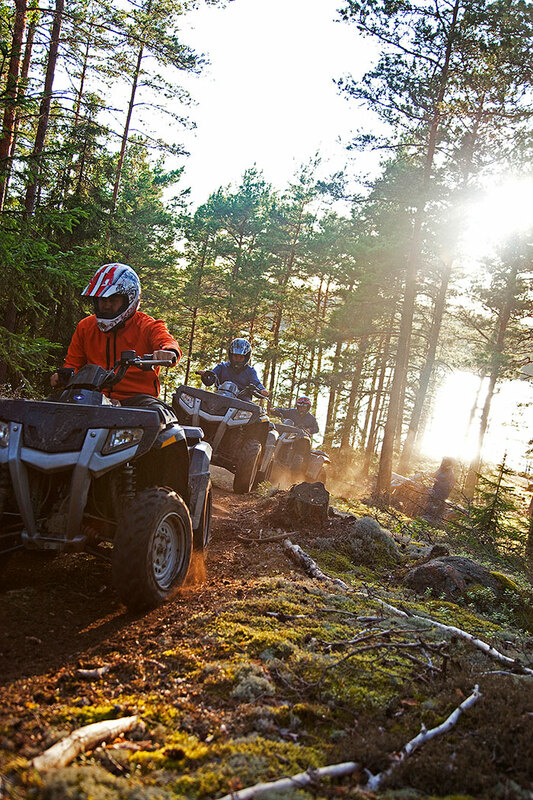 In the summer you can experience the miraculous midnight sun, Lemmenjoki National Park river cruises, ATV safaris, gold panning, and mushroom and berry picking. If you’re wondering how all this started, in 1973 a man named Jussi ran out of gas and had to pitch a tent in the wilderness. He felt so at home in the area that he decided to build a cabin and stay there. 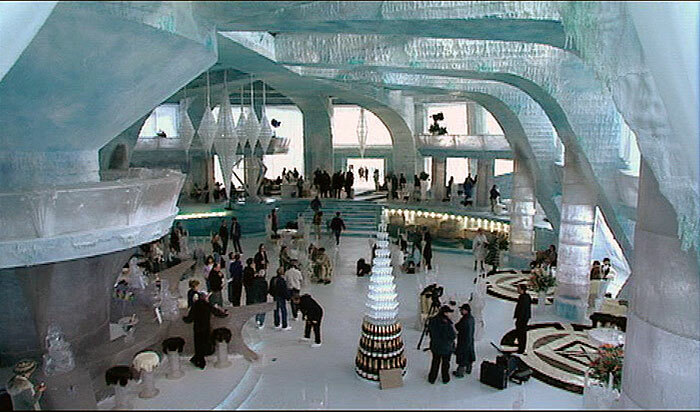 Eventually, his glacial home became Kakslauttanen Arctic Resort, a winter wonderland for guests from all over the world. Now you too can make your arctic dreams come true. 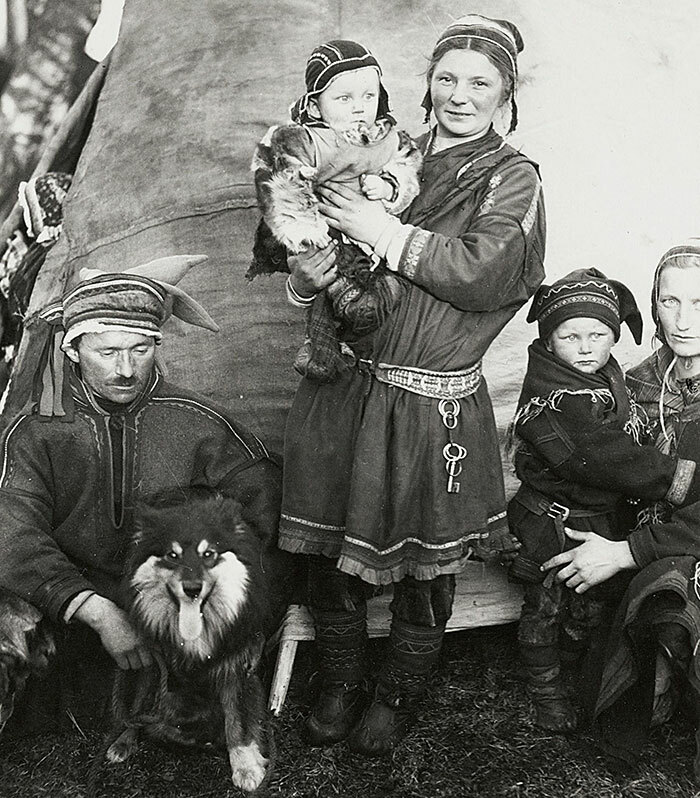 For more information about traveling in the Great North, read our story about the traditional Sami people living in the Lapland region of Sweden. Join our mailing list to receive the latest news, and special offers, for a global lifestyle.